However, most infections involve the lower urinary tract — the bladder and the urethra. Women are at greater risk of developing a UTI than men are. Infection limited to your bladder can be painful and annoying. However, serious consequences can occur if a UTI spreads to your kidneys. Doctors typically treat urinary tract infections with antibiotics. 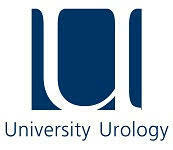 Contact University Urology with your questions and concerns about Urinary Tract Infections.